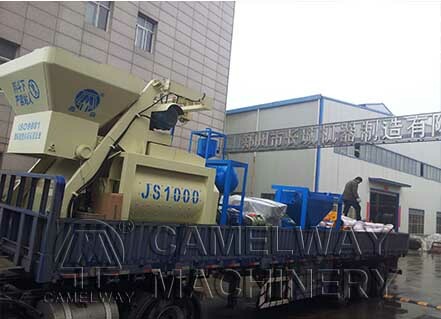 As a professional concrete mixer producer, Zhengzhou CamelWay Machinery can provide high-quality products and professional suggestions. 1. Regularly preventive maintenance and operation of the project, such as cleaning, lubrication, fuel, etc. 2. Before JS series concrete mixer start, check if all controllers are in good condition, after the shutdown, pour water and rocks into the mixing barrel for 10 ~ 15 minutes for cleaning, and then pour water and rocks out again. If operators need to come into the mixing drum when cleaning, cut off power and remove fuse, and lock switch box. 3. It is banned to use hammer to remove accumulated materials inside the concrete mixer drum, it can only be removed with chisels.